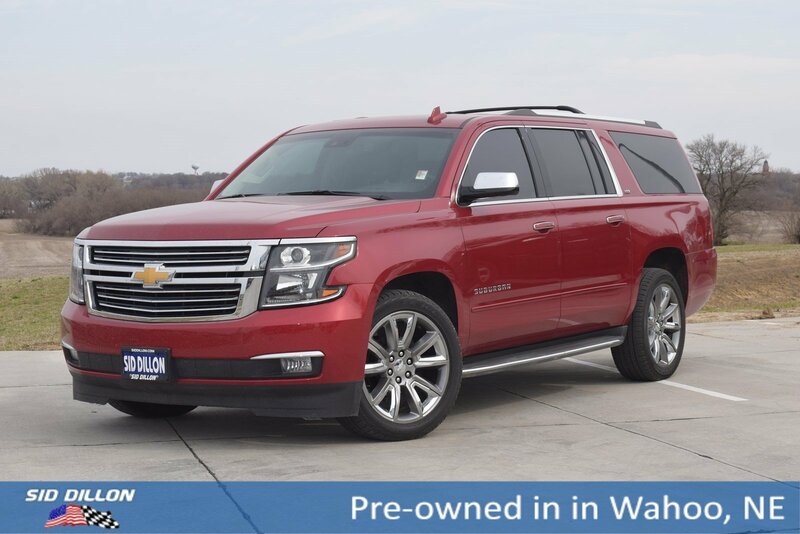 Sturdy and dependable, this 2015 Chevrolet Suburban LTZ makes room for the whole team. Warning tones headlamp on, key-in-ignition, driver and right-front passenger safety belt unfasten and turn signal on, Tire Pressure Monitor System air pressure sensors in each tire with pressure display in Driver Information Center (does not apply to spare tire), StabiliTrak, stability control system with brake assist, includes traction control, Side Blind Zone Alert with Lane Change Alert, Safety belts, 3-point, driver and front passenger in all seating positions. Rear Vision Camera, Rear Cross-Traffic Alert, sensor indicator, OnStar with 4G LTE provides a built-in Wi-Fi hotspot to connect to the internet at 4G LTE speeds (Only on vehicles built after 10/5/14. Visit www.onstar.com for vehicle availability, details and system limitations. Services and connectivity may vary by model and conditions. 4G LTE service available in select markets. 4G LTE performance based on industry averages and vehicle systems design. Some services require data plan. ), OnStar Directions and Connections plan for 6 months including Automatic Crash Response, Stolen Vehicle Assistance, Roadside Assistance and Turn-by-Turn Navigation (Visit www.onstar.com for vehicle availability, details and system limitations. Services may vary by model and conditions. ), LATCH system (Lower Anchors and Top tethers for Children), for child safety seats; lower anchors and top tethers located in all second row seating positions, top tethers located in third row seating positions, Lane Departure Warning and Safety Alert Seat, Front and rear parking assist, Forward Collision Alert sensor indicator, Brakes, 4-wheel antilock, 4-wheel disc, VAC power, Automatic Occupant Sensing System sensor indicator inflatable restraint, front passenger/child presence detector, Air bags, frontal and side-impact for driver and front passenger driver inboard seat-mounted side-impact and head curtain side-impact for all rows in outboard seating positions (Always use safety belts and child restraints. Children are safer when properly secured in a rear seat in the appropriate child restraint. See the Owner's Manual for more information.). 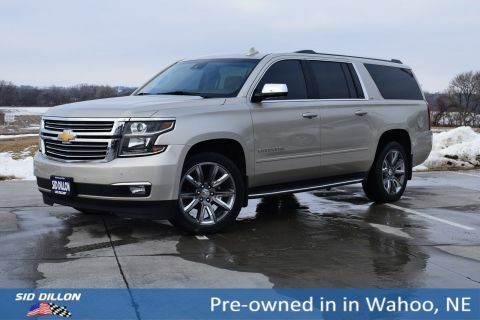 As reported by KBB.com: If you want maximum cargo and passenger capacity, combined with 4-wheel-drive (4WD) capability, big-trailer towing capacity, and a luxurious interior, the 2015 Chevrolet Suburban is your best pick. KBB.com Best Resale Value Awards. SUN, ENTERTAINMENT AND DESTINATIONS PACKAGE includes additional 9 months of SiriusXM Radio and NavTraffic service, (CF5) power sunroof, (U42) rear seat DVD entertainment system and (IO6) Chevrolet MyLink radio with navigation, MAX TRAILERING PACKAGE (Includes (GU6) 3.42 rear axle ratio and (JL1) Trailer brake controller. 4WD models also include (NQH) 2-speed active Transfer case. 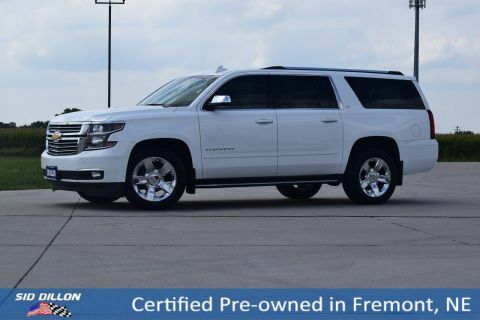 ), LICENSE PLATE FRONT MOUNTING PACKAGE, TRAILER BRAKE CONTROLLER, INTEGRATED, TIRES, P285/45R22 ALL-SEASON BLACKWALL, SUNROOF, POWER, TILT-SLIDING with express-open and close and wind deflector, SUN, ENTERTAINMENT AND DESTINATIONS PACKAGE includes additional 9 months of SiriusXM Radio and NavTraffic service, (CF5) power sunroof, (U42) rear seat DVD entertainment system and (IO6) Chevrolet MyLink radio with navigation. 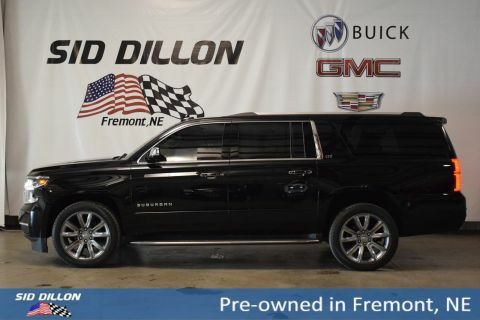 A short visit to Sid Dillon Wahoo located at 1750 County Rd J, Wahoo, NE 68066 can get you a tried-and-true Suburban today!